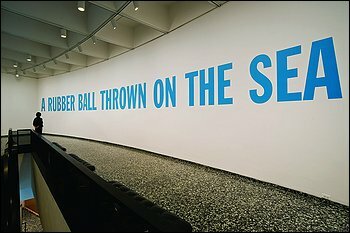 The Hirshhorn Museum recently installed Lawrence Weiner’s A RUBBER BALL THROWN ON THE SEA, Cat. No. 146. Read Blake Gopnik’s review in the Washington Post. Weiner will be a visiting artist for the MFA Art Practice program.